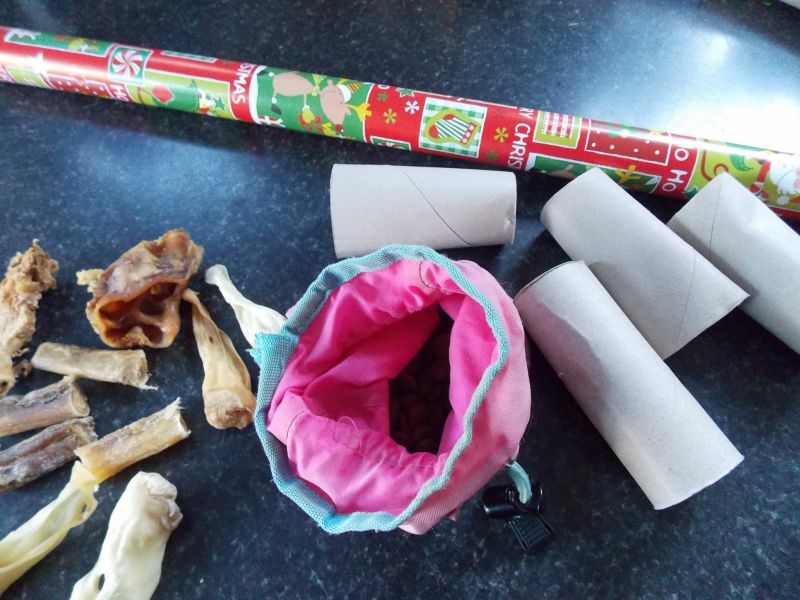 All you need is a few toilet or kitchen roll inserts, dog treats, and wrapping paper. 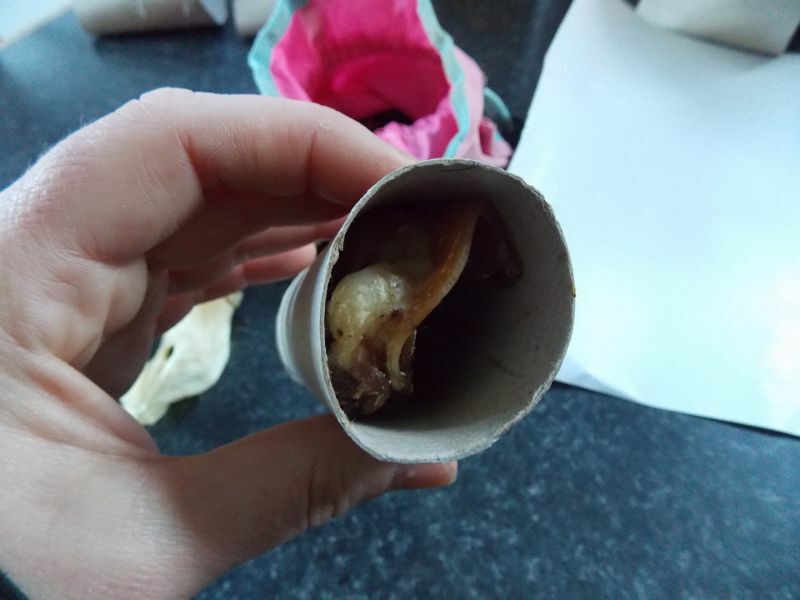 Fill some dog treats in the toilet roll insert. 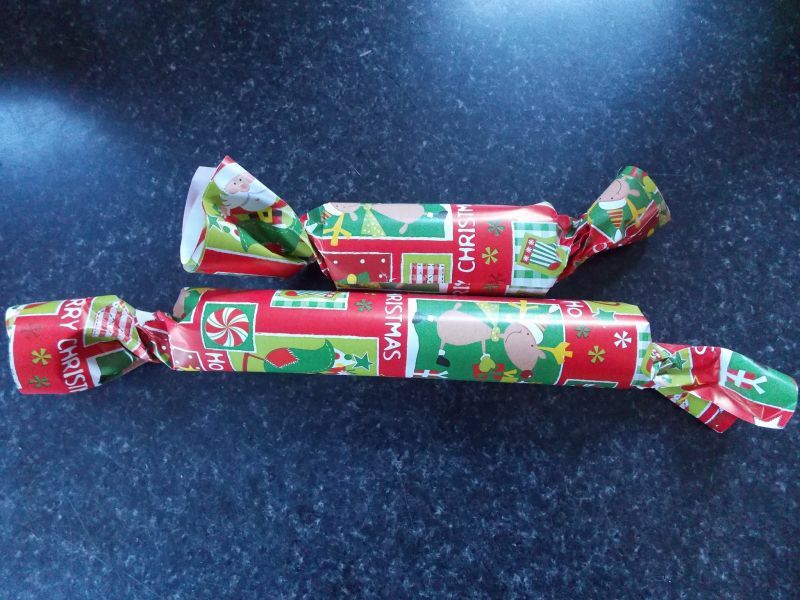 Then roll wrapping paper around the tube and twist both ends carefully.